(Es.) Buscando entre fotos encontré esta. //// (En.) Today, looking through some old pictures, found this one. (Es.) El traje lo usé como dama en la boda de una amiga. La comparto para que vean el largo, corte, estilo y color del traje. El mismo es un vestido formal. /////// (En.) 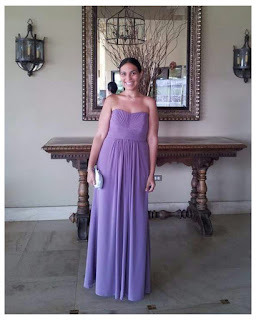 I used this dress as a bridesmaid for a friend's wedding. I am sharing it so that you guys can see the long, cut, style and color of the dress. This one is a long formal dress or long formal evening gown. (Es.) Creo que para ese entonces me costó $89.00 dólares. Junto al impuesto sé que llegó a costar de $100.00 dólares en adelante. La boda fue un 2 de mayo del 2014, en el Trump International Golf Club Puerto Rico, y todavía estábamos en primavera. El traje lo compré en la tienda David's Bridal aquí en Puerto Rico. /////// (En.) I think at that moment the price was $89.00 dollars. With the tax it might have been $100 dollars or more. The wedding took place at the Trump International Golf Club Puerto Rico on spring. The date was May 2, 2014. 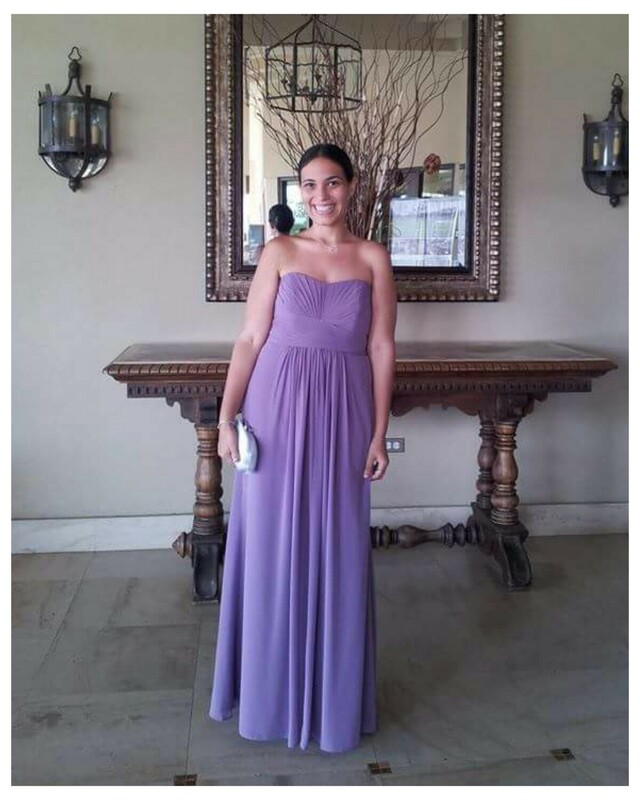 I bought the dress at a David's Bridal store here in Puerto Rico. (Es.) Esta semana estaré buscando más fotos de trajes formales para que tengan una idea y el álbum no esté vacío. ¡¡¡¡Hasta orita!!!! Xoxo. B. ////// (En.) This week I will be looking for more formal dresses I have worn so that you guys might have an idea of what to wear when you see that dress code and I also do not want my Facebook page album empty. See you soon!!!! Xoxo. B.